CoinPlus Review - Money Making Opportunity Or Another Scam? Bitcoin trading is popular, and there are many platforms online supposedly able to make people very rich if you invest in any of the plans they offer. No matter how exciting and tempting their offer may seem, you must run away from such scams before you waste your lifelong resources. 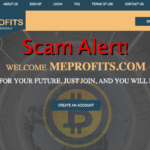 I have come across one particular website that is designed to scam unsuspecting investors, and this is why you have to read this CoinPlus Review very well because this bitcoin mining and trading platform is the newest scam in cryptocurrency trading. 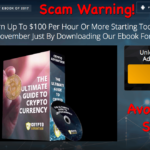 CoinPlus Bitcoin Trading Platform is just a scam website created by con artists to deceive people into thinking that they can make more money without effort. 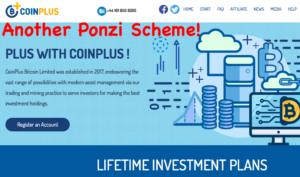 CoinPlus is one of those Ponzi scheme platforms promising to pay substantial percentage returns on bitcoins to people who invest on any of the three plans which they offer. 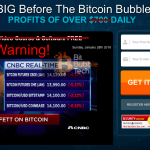 Forget about the offer of free bitcoin on their affiliate program when you bring new investors, CoinPlus is just using this strategy to lure you in and scam you of your hard-earned money. They are not offering any product except the affiliate program. Also, to earn on this website, you are expected to use bitcoin or Ether to fund your account and then, you will be making up to 150% to 360% returns on investment every month. This claim is very unrealistic, and if you have been trading on cryptocurrencies, you will understand that this figure is not possible. Also, you need to ask, where will these high returns come from if there are no trading activities on the platform? Bitcoin mining? Then why will the admin ask members to make investments in bitcoin? Some key points will help to convince you to stay away from this fraud of an opportunity known as CoinPlus. Don’t mind the packaging, promises or even claims, the website is a complete fraud. CoinPlus Is A Ponzi Scheme! 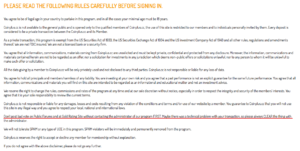 When you read the terms and conditions of operating in the CoinPlus Ponzi Scheme, you will notice that they are not responsible for your damages nor losses. Also, you are not allowed to post something bad on any public forums and at Gold rating sites without contacting the admin first. One may begin to wonder what they are afraid of if you post real comments about your experience. This proactive measure means that they know that you will have bad experiences on the platform and they want to shut you up so that you will not share it. The company “CoinPlus Bitcoin Limited” which we know to be registered in U.K is, in reality, a paper company. The company doesn’t have any license by the Financial Conduct Authority (FCA); a regulatory body for companies that offer investment services. 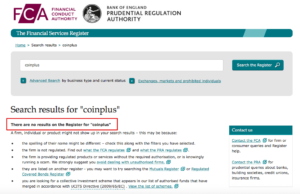 Therefore, CoinPlus is running an illegal operation in U.K. Please don’t be deceived the registration number you see on the website because anybody can acquire it for tax purposes during a company registration process. 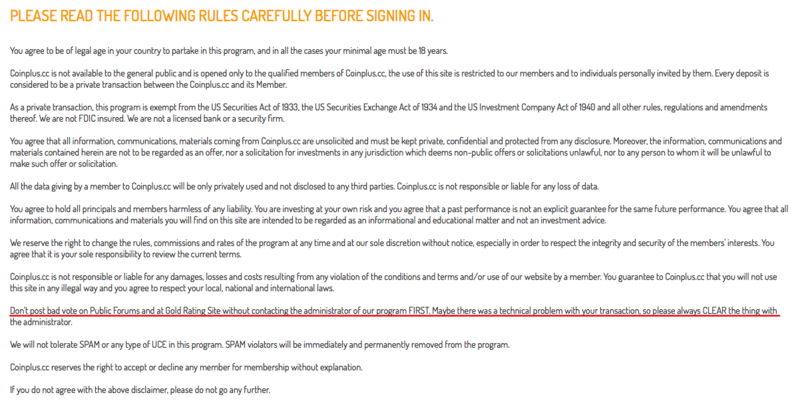 There is no evidence that CoinPlus website is paying out all those earnings of 360% which members are getting. The Blockchain address you see on the site is not real so how can you have access to your earning? Also, we haven’t seen any proof of actual payout of the enormous profits which investors are making. CoinPlus makes promises of payment when you bring more people, but no matter what you do, you will never meet up to the requirement. You can check if the address is real or not by searching for the address given on the official website on Blockchain. CoinPlus is a new company which was registered in September ending 2017. There is no history behind it and being new; it lacks the adequate experience to earn your trust on continuity. One way to trust what a company can offer is by tracing their history, their experiences which by the way will make them stronger and what other members have to say about them. CoinPlus is still too new to meet any of the three criteria’s. They just came into the market and start making claims of huge ROI which even the old players in cryptocurrency trading cannot offer. Wouldn’t this prove that they are in for quick riches all for themselves? One of the conditions for earning on CoinPlus is to make investments in any of the three plans available on the website. The way these investment plans works is that if you invest higher, you will earn higher and faster than those on the lower plans. However, it is suspicious that a platform claiming to mine bitcoin will still accept a deposit in bitcoin or Ether only. Also, to earn on the CoinPlus platform, you have to invest a minimum of 0.005BTC as you join the affiliate program. If you don’t want to invest at all, your earnings will be limited to the commissions you get for bringing new investors to the platform. This kind of condition is a subtle persuasion strategy. Since the referral commission will not be as high as members may wish, they will decide to also invest as an affiliate and earn the supposed daily returns on their investment and the referral commissions. There is no other product to trade except to bring new investors to register. Is this not a typical Ponzi scheme strategy? Like what other scammers do, CoinPlus may be using the picture of an actor to pass as the creator of the website. On the site, you will not find any information about the supposed creator; Tom Armour. There is no qualification information of Tom on the CoinPlus website neither is there any mention of how many years he has been trading on bitcoin. All you will see is a picture and a fake office building of their company in Orlando. Yes! Our investigations revealed that the building is existing, but it is the office of another company. Can you imagine this kind of setup for a company that is promising to make you rich in bitcoin cryptocurrency? 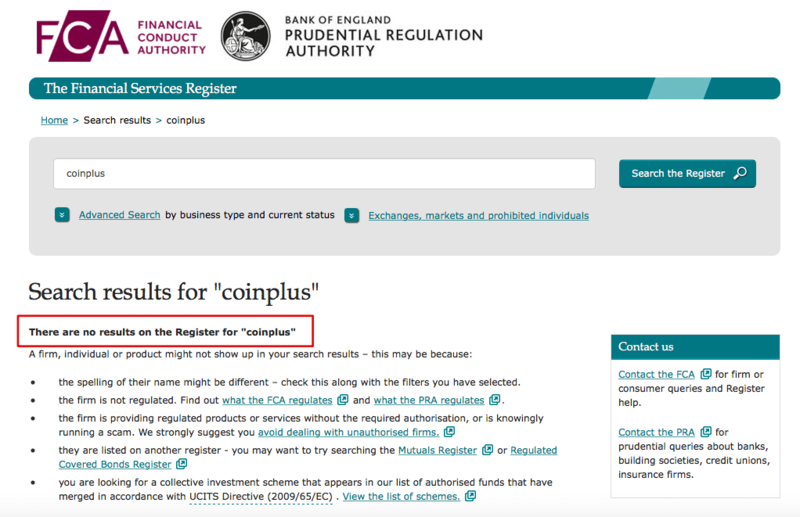 Verdict – CoinPlus is another Ponzi scheme! Stay Away! Instead Join Trust Trading Robot! 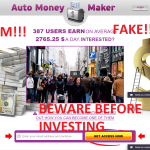 Click On Below Banner To Get A Demo Account! My advice to you is to stay very far from CoinPlus Bitcoin Ponzi scheme. Yes! It is a pyramid scheme that will also fail like others before it. They are not mining nor trading bitcoin. They are just scamming unsuspecting investors of their hard-earned money in the name of false returns on investment. The website is not paying out but would instead collect your bitcoin and fuel your expectations. The creators are not genuine nor experienced, each blockchain address is fake, and their office building is not there’s so how will you survive a possible crash if you cannot trace them anywhere. If you want to invest in bitcoin, look for the real deal. Coinplus is not one of them. 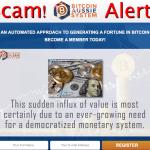 Have tou found any bitcoin trading solutions that aren’t scams?